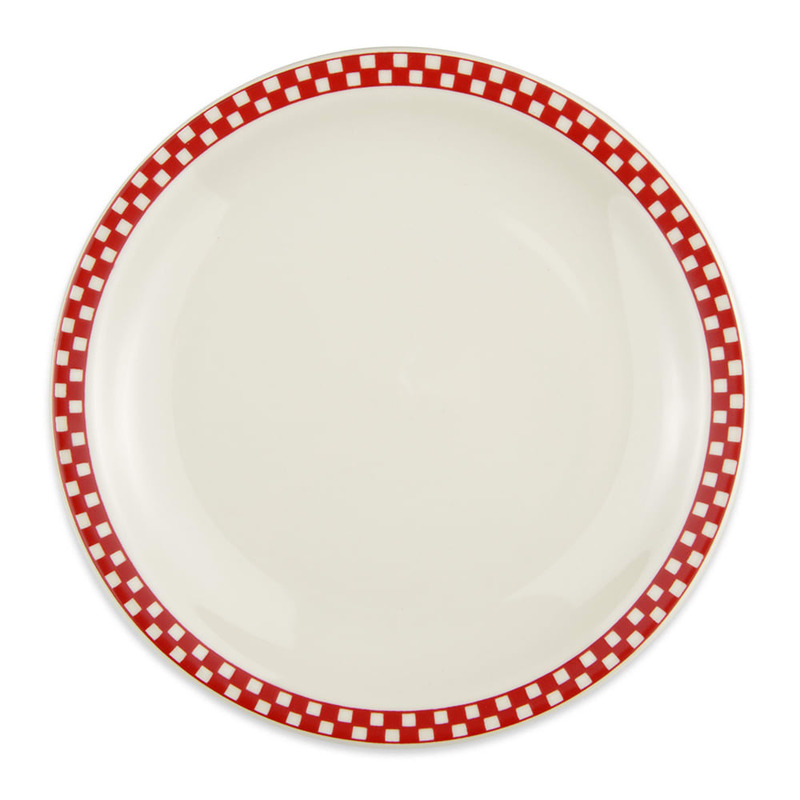 The Homer Laughlin 2245413 plate has a red and ivory checkered pattern that runs along the edge of the dish, creating a retro vibe that is perfect for diners. Since the dish is made of china, it is durable and resists scratches and chips. The durability of the plate makes it great for commercial applications. 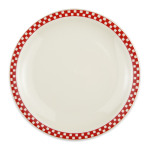 More food fits on the Homer Laughlin 2245413 plate since it has a 9 inch diameter and a thin rim design.